Can’t Afford To Pay Your Mortgage? Is Bankruptcy An Option? Many people across the country whether due to loss of income, divorce, increased expense, etc., wake up one day to find they can’t afford their mortgage. What can a homeowner do? You don’t want to lose your house by selling it or having it foreclosed. What do you do? First step is you have to run an honest assessment of your situation. Mortgage miracles do not happen despite rumors of incredible reductions in the mortgage payment amount. Most are only rumors. Is your house upside down or underwater? What this means is that the value of your house is less than the amount owed on your mortgages. You need to do a quick calculation to figure out how big your problem is. 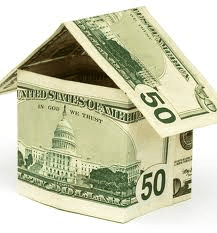 Subtract the amount owed on all mortgages and liens from the value of the house. If the number is negative, you are underwater. The greater the negative equity, the bigger your problem. Next you can estimate how long it will take to recover your negative equity by estimated the average amount of appreciation over the next few years. If you estimate the properties in your area are appreciating at a rate of 3 percent and your house is worth $100,000, you are gaining value at a rate of $3,000 per year. So if you are $24,000 underwater it will take you around 7 to 8 years just to break even. 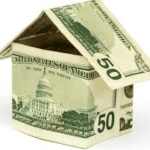 If you goal is to pay off the loan and live in the house forever then negative equity is less important than how good the terms are on your mortgage loan. No matter what the outcome of your analysis is, if you are underwater you are not alone. About 1 in 10 American homeowners is in the same boat. If you have a second mortgage you may be able to eliminate or strip the mortgage in a Chapter 13 bankruptcy. To strip a second or third mortgage or equity line the house value must be equal to or less than the value of your first mortgage or all junior mortgages. Wiping out a second mortgage is very possible and something we at Merna Law do every day. This would eliminate the payment on the second mortgage making the house more affordable. You also have to ask yourself can you afford any reasonable mortgage? If your income has plummeted through the floor there may not be any modified you can afford. Be aware that the reality of what a mortgage payment can be modified to is not magic. It is based on what is owed, the interest rate charged, and the repayment term. Online calculators are available to allow you to play with the possibilities. Reset Your Mindset – I often running into clients that have an unreasonable attachment to their homes. Wives that are willing to work themselves and their husband to death for a money pit they can barely afford because it is their “home”. Husband’s too proud to understand when a house or a mortgage is a bad financial decision. A building is a building. When we give it too much power or value in our minds we lose perspective and the ability to make a good financial decision regarding the building. I find all to often I am telling my clients that “sometimes you have to take a step back to move forward”. If you are hopelessly upside down on a house and in a poor mortgage you should consider the value of taking a step back. Don’t get me wrong. It is okay to own a house that has declined in value if you are not planning to move for a long time. Do you really need a bankruptcy attorney? The answer to this is clear. Are you behind or struggling with your mortgage? Do you have anxiety attacks when you think about trying to selling your house? Have you been experiencing a suffocating feeling when you come home each day and thing about the things that need to be done on your house? A free consultation with one of our attorneys can give you options or at least another perspective on where you stand. Give us a call today.